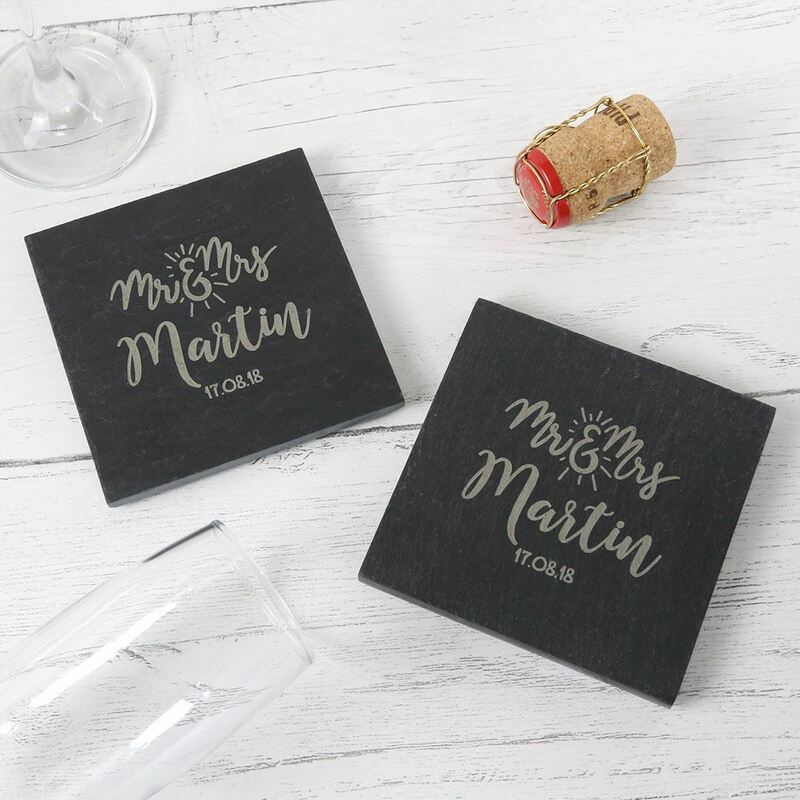 These coasters come etched with the couples surname and wedding date and come with padded feet to prevent scratching. Each coaster measures 10cm x 10cm. We can also make them with Mr & Mr and Mrs & Mrs if required. Please enter the surname of the couple and the wedding date in the comments box when you place your order.